The optimal water temperature for drip coffee is 95-98 degree C. Colder water does not extract enough caffeine and essential oils from the beans, and above this temperature the acidity increases greatly. What does the quality of coffee depend on? Time since roasting the beans, b-Time since grinding, c-Cleanliness of cleaning equipment, d-Bean quality ie what crop etc ,e-Water quality, f-storage of product. 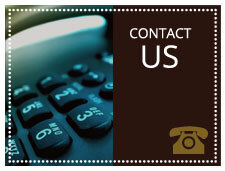 How often must equipment be thoroughly cleaned? This depends on frequency of use. Equipment used daily must be cleaned daily. Oils from the residual coffee grounds can turn rancid if left in unused equipment. What are the best packaged coffees to buy? For freshness, get coffee preferably in vacuum packaged containers/wrapping with expiry date. What are the main differences between Arabica and Robusta beans? Taste-Arabicas have a wider taste range between varieties ranging from sweet soft to sharp, tangy. Their unroasted smell is often like blueberries, once roasted they are perfumey with fruity notes and sugary tones. Robustas are neutral to harsh in taste and almost oatmeally. Unroasted there is a hint of peanuts and roasted they can taste of burnt rubber. Production conditions. Arabicas are delicate and require cool, tropical climates, with lots of moisture, rich soil, shade and sun. They are subject to attacks from various pests, and are vulnerable to the cold and bad handling. Robustas are hardier and can grow at lower altitudes and are less subject to pest and rough handling problems. Their yield is higher at a lower cost of production. As a good rule of thumb Arabicas are generally pricier and found in coffee stores and Robustas in supermarkets. How much ground coffee should be used per cup of 125ml? Generally about 10g or more to strengthen the flavour and bring out nuances. What equipment is required for ground coffee? How should coffee beans be stored? In a glass, air tight container not exposed to light. Should you buy ground coffee? Preferably not as this significantly reduces the shelf life. Preferably have your own grinder and grind only that amount required at a particular time. 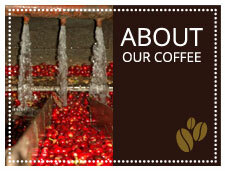 Where does African Roots Coffee originate? 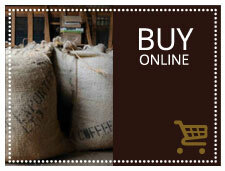 Selected premium estates and only from African countries as Africa is the origin of coffee.